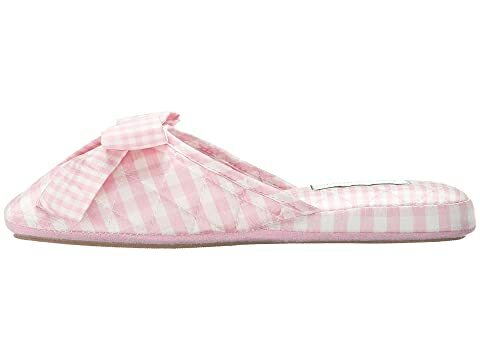 Slide into 'Silk Check' for soft, supple, sublime comfort to help you relax. 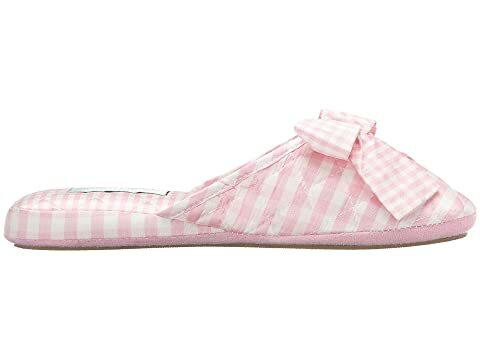 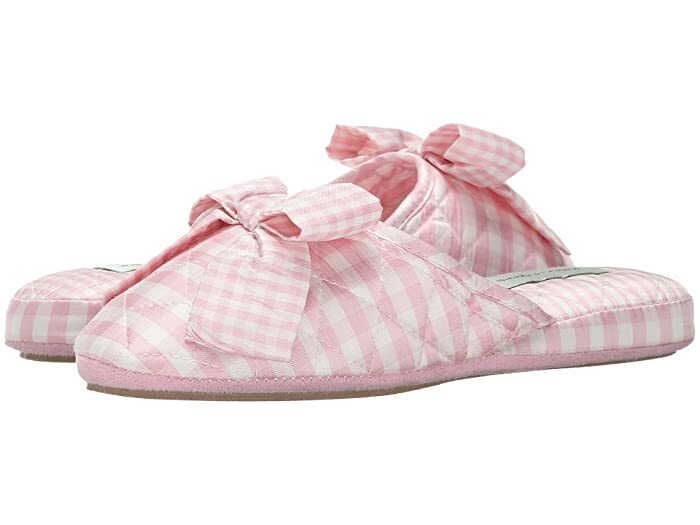 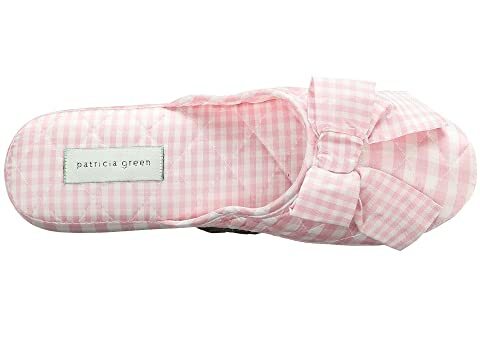 Charming silk uppers in a classic gingham print are intricately quilted for style. 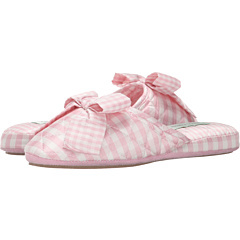 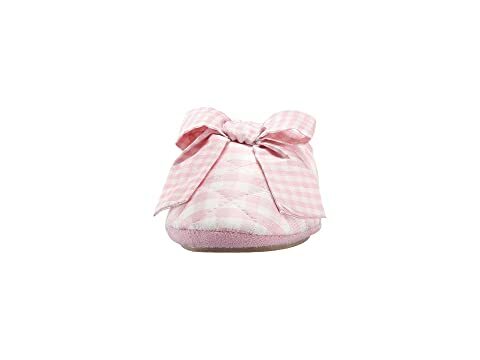 An oversized bow is carefully placed to add a little pop to the traditional scuff. 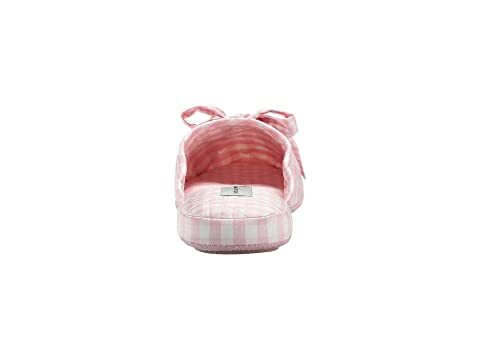 Lightly padded insole soothes and caresses all your cares away. 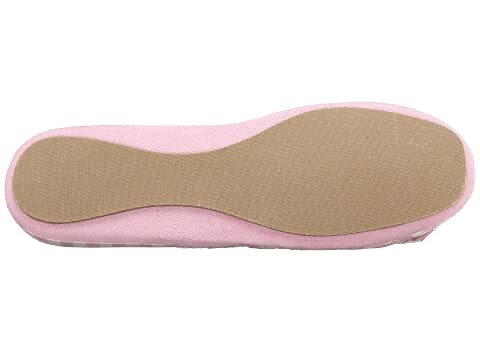 Non-slip rubber outsole provides a durable and lightweight finish.